San Francisco is truly one of the best places to live in California during the summer. With so much to do, and the sun almost always shining, the city is perfect place to spend the dog days of summer with your kids. 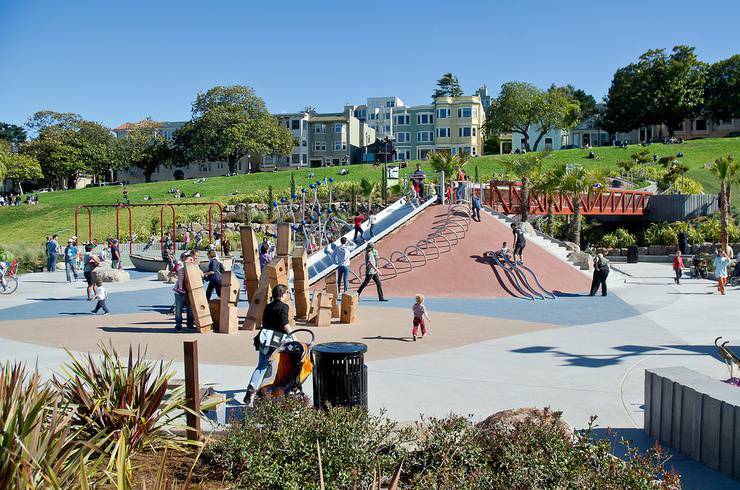 ChatterBlock team has compiled the list of best parks & playgrounds in San Francisco you can visit these summers for the perfect family getaways. Without a doubt GOLDEN GATE PARK is a must for all families to experience. Equipped with numerous playgrounds, lakes, rose gardens, and even a newly restored carousel, families will have no problem spending the entire day here. If you are looking to discover this outdoor oasis in full effect visit on Sundays or holidays to experience the park car free! 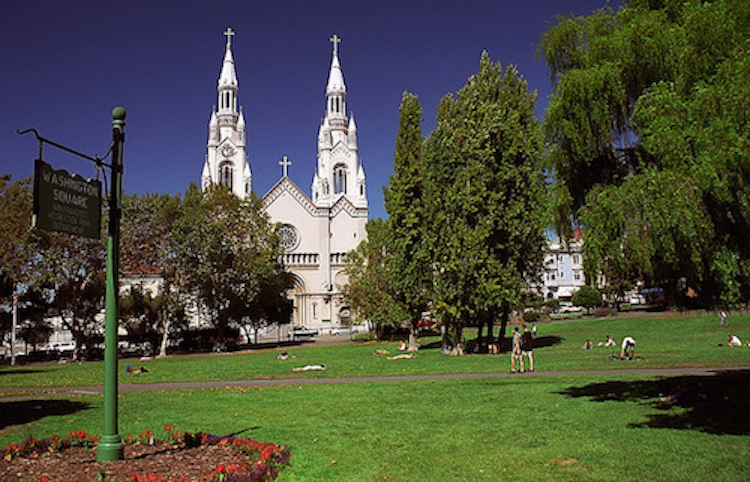 As we all know, Mission Dolores Park is one of San Francisco’s most popular destinations, the vibrant heart of its equally vibrant, culturally diverse neighbourhood. Here you’ll find lush green lawns shaded by tall palm trees, a soccer field, six tennis courts, one basketball court, a multi-use court, a playground, and two off-leash dog play areas. Yes. Many festivals, performances, and other cultural events are held here, and on sunny afternoons people flock to the park to play, picnic, lounge, walk their dogs, and enjoy spectacular views of the city’s skyline and beyond. Mission PlayGround is also an awesome option for parents with young children to go on a hot day. Bring the whole family out to make a splash at the City’s only outdoor pool. Two tennis courts, a basketball court and a blacktop soccer pitch are available for games. Relax on a bench or take stroll through the grassy area. The playground shares a site with the much-loved Mission Clubhouse. If you are already in the Golden Gate National Recreation Area, area LANDS END is a great place to take your kids for a family picnic, or to watch the sunset. We think the view of the ocean and the city for Lands End is absolutely gorgeous. There are also numerous hiking trails, ranging in difficulty, that yours kids may also enjoy. Additionally, Lands End contains the ruins of the Sutro Baths. Other historic sites include numerous shipwrecks, which are visible at low tides from the Coastal Trail and Mile Rock. Another awesome spot to hit up in San Fran is Crissy Field. Pick a day when the tide is out and the sun is shining to visit this sensational kids paradise. 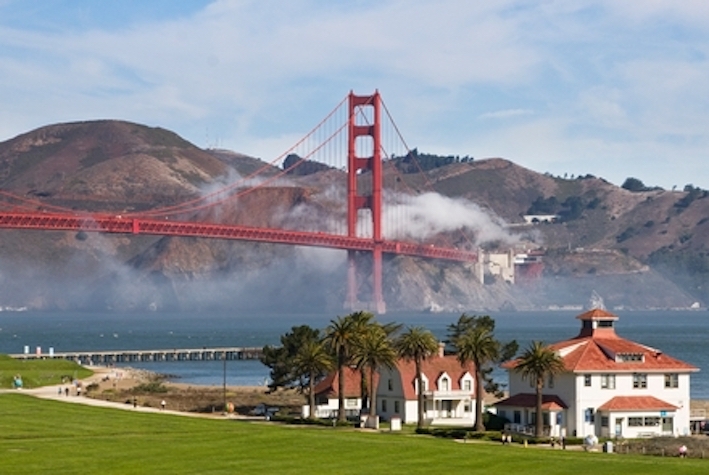 Crissy Field is a stunning place to walk or bike on a flat, hard-packed promenade with iconic views of the Bay and Golden Gate Bridge. A beautiful, and much-loved trail winds through Crissy Field between Marina Green and Fort Point. You’ll find beaches, picnic tables, tidal marsh overlooks, and renowned windsurfing. At the west end of Crissy Field, the Warming Hut offers delicious snacks, sandwiches, and drinks—as well as a wide selection of park gear and eco-friendly merchandise. 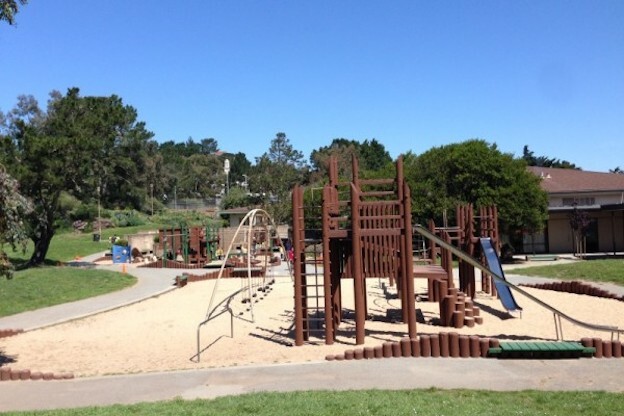 Visiting Presidio Heights Playground with your family on a sunny day will be a perfect getaway for all. 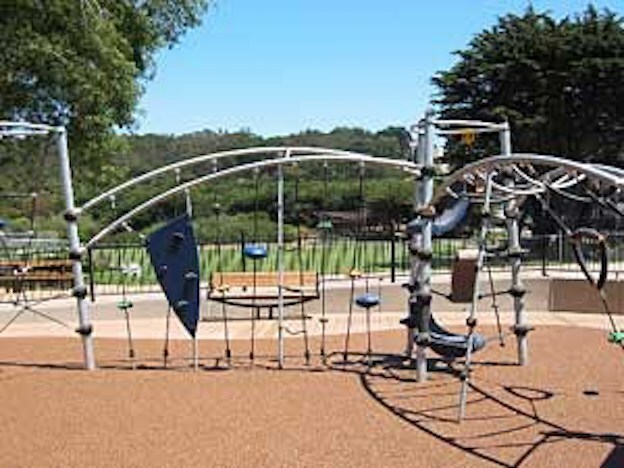 This playground features a full length basketball court, picnic tables, new landscaping while kids can enjoy the swings, slide, sandbox and climbing structures. Next on our list is Julius Kahn Playground. This park provides state-of-the-art Parisian-style playgrounds and an interactive wet sand play sculpture and unique and challenging play equipment. There are two play structures one for toddlers & another for school-aged kids. This park is surrounded by a grove of beautiful trees and hence a great place to hike and explore. Your family can never get enough of Washington Square. The Square is a natural community gathering place with a long and fascinating history, hosting festivals, free movie nights and other special events throughout the year. It’s also a great spot to people-watch, walk your dog, toss a Frisbee or just relax on the lawn on a sunny day. Do we need to say more! 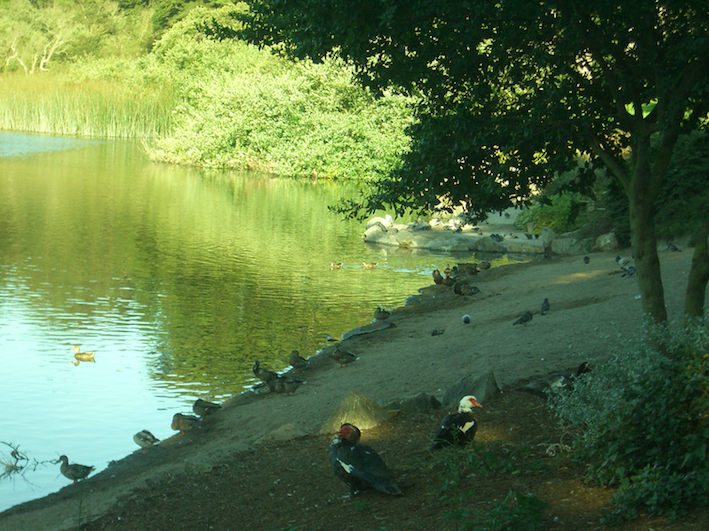 MOUNTAIN LAKE PARK is another beautiful park with a stunning beach to boot! The area also features slides, swings, and a multi-level play structure. If your kids love animals we suggest taking them down here to feed the birds. In our personal opinion this is one of the best places in the city to get rid of your breadcrumbs. 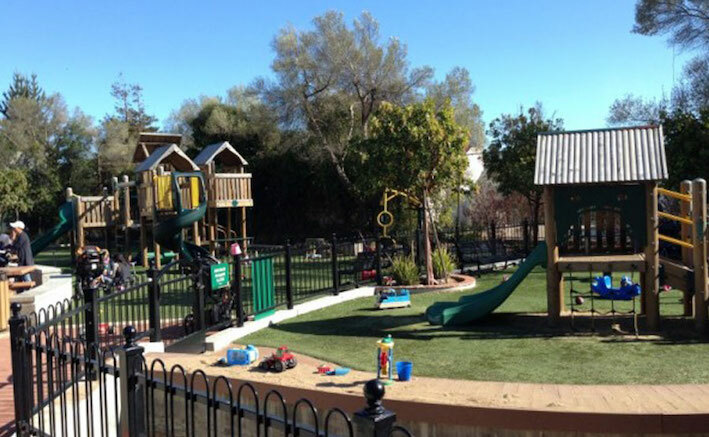 George Christopher Playground is another great place to spend a great sunny morning with your family and while enjoying the canyon views. This park features a sand-floor playground, softball field, tennis and basketball courts. Overall, these are just 10 of the 100’s of awesome places we would recommend taking your kids this summer. If your go-to place did not make the list please, please, let us know. 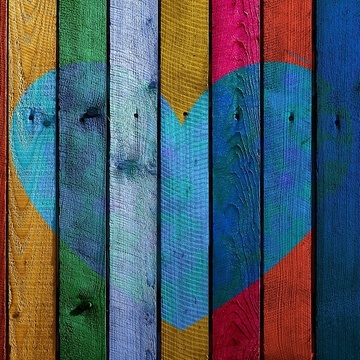 We love adventure and would be keen on visiting somewhere new.